Battery life is the #1 thing consumers want to see improved, so if you're all about the long-lasting battery life, the HTC One Max is absolutely amazing. How amazing? 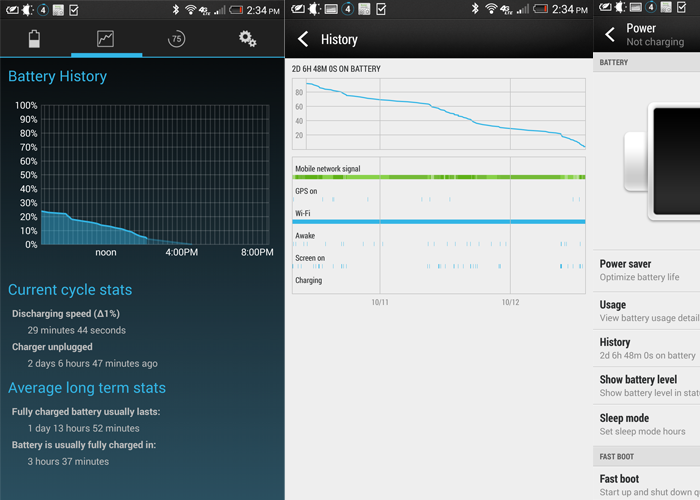 Almost 55 hours of usage between charges. And this isn't putting it in power saving mode, turning things off constantly, etc. This is WiFi on, Bluetooth on, and GPS on during the daylight hours. Part of what makes the battery life great is us using the Snapdragon 600 processor. 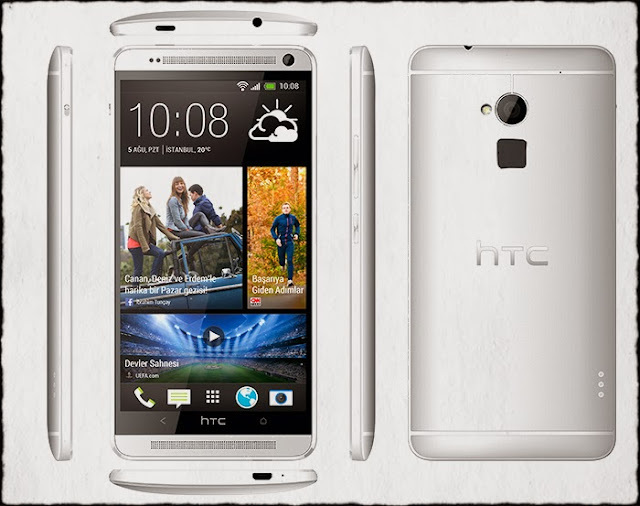 The HTC One Max has the same screen resolution as the HTC One, which is a top performer, so the experience is the same on both devices, so while other devices in this category are shipping with the Snapdragon 800, it's the day to day experience of using the device that matters more than the specs. Make no mistake, this is a big phone, but it's amazing how quickly you can adapt to the larger size. It's worth pointing out how great gaming is on a 5.9 inch screen. BoomSound is incredible - the speaker chambers are larger, so it's even louder than the HTC One - and the camera experience is amazing with such a large screen. Sharing photos and videos with others on a 5.9 inch screen is a great experience! Availability on specific carriers, and pricing, will be announced in the coming days/weeks. The best thing you can do is contact your wireless carrier via Twitter and ask them when the HTC One Max is coming - they need to see the enthusiasm consumers have for our phones. Remember the carrier decides whether or not to carry our phones and sell them to you. 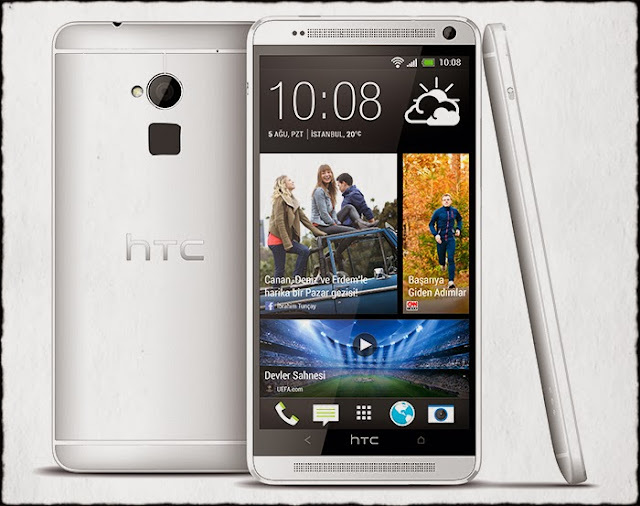  Front Camera: 1080p Full HD video recording. I have no info about PPI, but it surely will be not as good as in HTC One (larger screen with the same resolution). Will there be also ARHD Roms? If yes, when?